I was a little disappointed with the size of the camel. 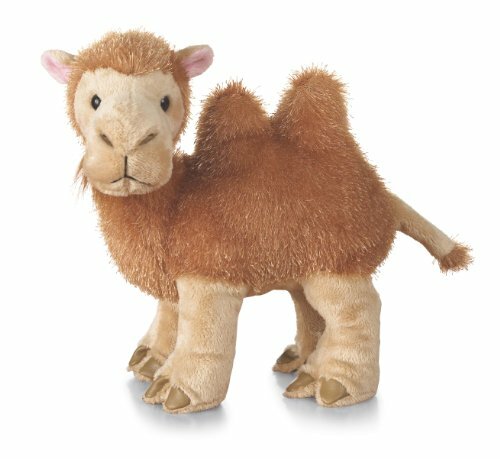 The Webkinz fish seem huge and this camel is rather small. It is really cute, has plush fur (which my grandchildren prefer over the stringy fur on some of the Webkinz, and I love the toenails and the expression on its face. I just wish it was a filled with a little more stuffing--the legs are very soft and fold easily. I don't know how they got it to stand up in the picture, our's doesn't. My grandson loves it and it was a great addition to his collection. Aurora Plush Builder Beaver Flopsie - 12"